Mufti attacked the Centre saying its main priority seems like renaming ancient cities and building Ram Mandir in Ayodhya. 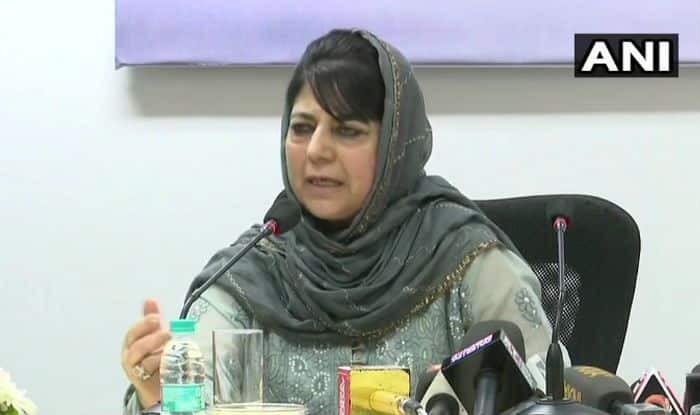 Srinagar: Peoples Democratic Party (PDP) chief Mehbooba Mufti on Sunday lauded Pakistan Prime Minister Imran Khan for taking the decision to name Baloki Forest Reserve after Guru Nanak Dev but at the same time attacked the Centre saying its main priority seems like renaming ancient cities and building Ram Mandir in Ayodhya. “How times change. Centre’s top priority is seemingly renaming historic cities and building Ram Mandir. On the other hand, heartening to see that Pakistan PM has initiated steps to name Baloki forest reserve after Guru Nanak Ji and create a university under his name,” tweeted the former Jammu and Kashmir chief minister. Pakistan Prime Minister Imran Khan had requested the administration to rename Baloki Forest Reserve after Guru Nanak Dev and also expressed the desire to establish a university in his name. Speaking at the launch ceremony of the Spring Tree Plantation 2019 and Natural Reserve at Balloki in Nankana Sahib, Khan made the announcement. As per reports, Khan also announced massive arrangements for the 550th birth anniversary of Baba Guru Nanak this year. He even assured the Sikh community of all possible facilitation that would be provided to them. In 2018, India and Pakistan laid the foundation of the much-awaited Kartarpur Corridor. Both the countries had agreed to open the corridor for the Sikh devotees for Baba Guru Nanak’s 550th birth anniversary. The decision came after Narendra Modi-led government had cleared a proposal to develop a corridor from Dera Baba Nanak in Punjab’s Gurdaspur district to the International Border to facilitate Indian pilgrims to visit Gurdwara Darbar Sahib in Kartarpur in Pakistan. The corridor links Gurdwara Darbar Sahib in Pakistan’s Kartarpur – the final resting place of Sikh faith’s founder Guru Nanak Dev – to Dera Baba Nanak shrine in India’s Gurdaspur district.